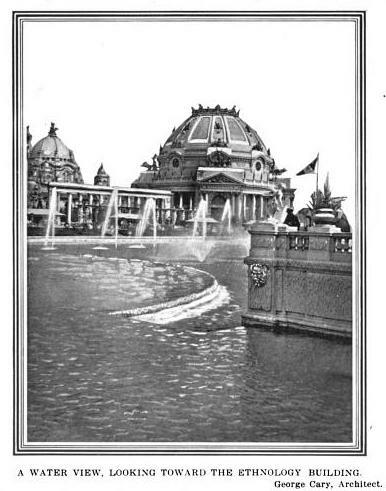 The Pan-American Exposition of 1901 held in Buffalo, New York. The exposition was the site of President McKinley's assassination in September of that year. 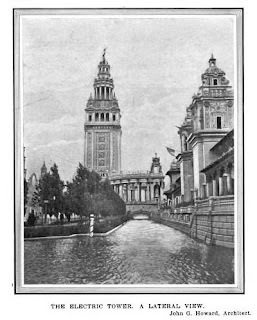 Click HERE and HERE for more on the Pan-American Exposition. Most of the buildings were demolished following the end of the exposition by the New York State building remains as the Buffalo and Erie County Historical Society. Click HERE to see the New York State building on google street view. Above, the Electric Tower designed by John G. Howard. 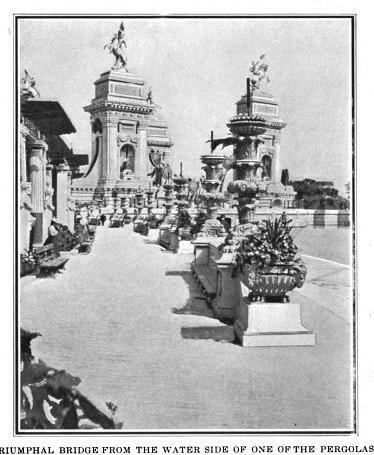 The Mall designed by John M. Carrere. 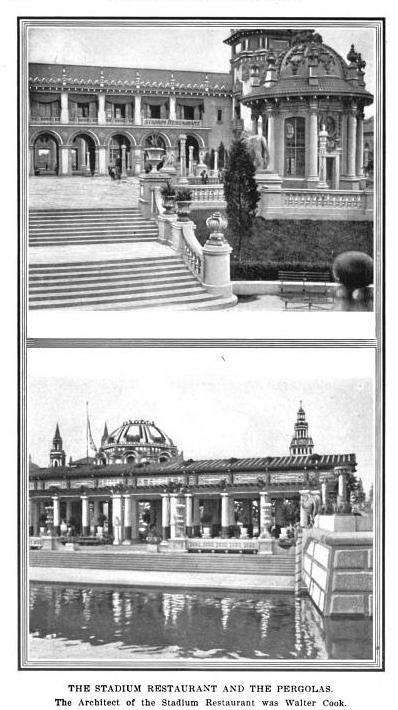 The Ethnology Building designed by George Cary. The Graphic Arts Pavilion designed by R.S. 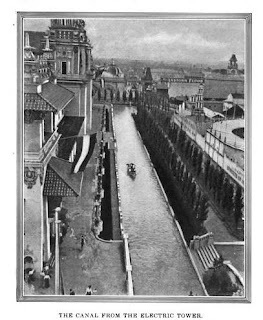 Peabody. 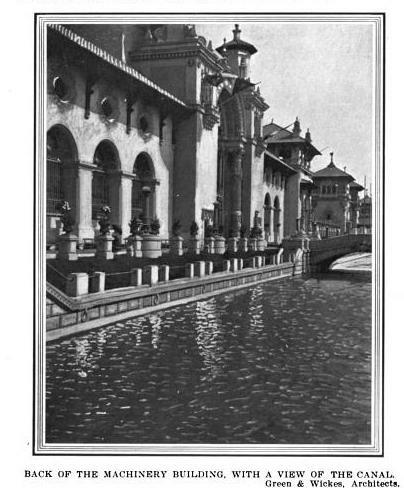 The Machinery Building designed by Green & Wicks. Where is CPH Gilbert's building? Why DED, I was wondering how long your CPH abstinence would last. I now know not very long....I do think CPH was back in NYC designing lovely townhomes in brick and limestone and not playing with plaster and wood. 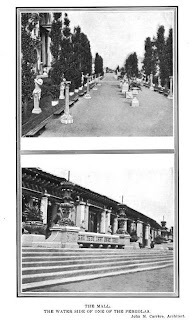 He did however eventually build his own Beaux Arts wedding cake at Pembroke in Glen Cove, NY. 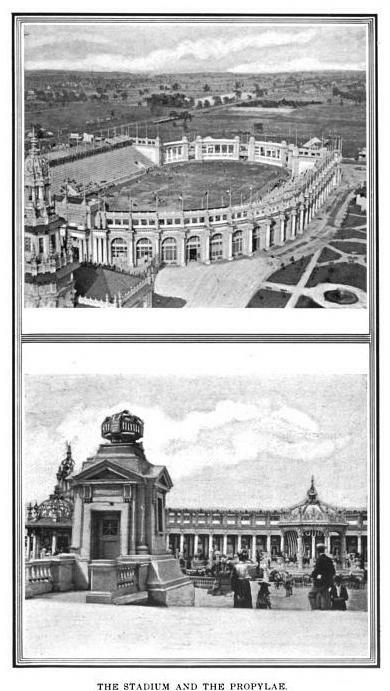 So my question would be more pointed, "why can't we build anything grand and magnificent today that takes your breathe away just as these exposition buildings did back in their day"? 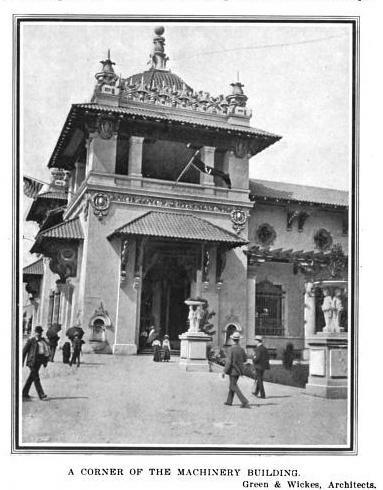 Also one should feast on the architectural treasures at the 1893 Chicago Exposition or 1904 in St. Louis. 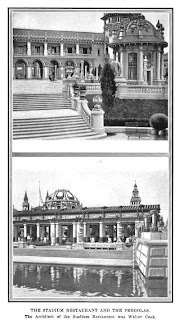 What powerful design and artistic achievements they were. 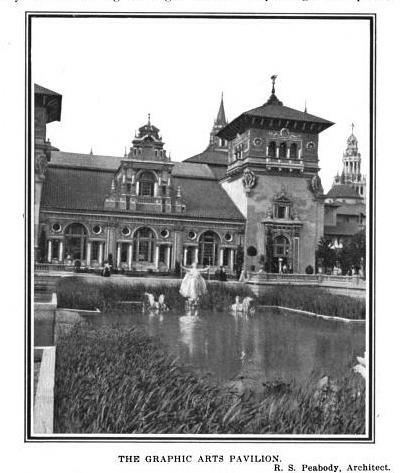 Chicago in particular, credited for sparking the City Beautiful Movement throughout the country. I would love to spend the day at any of these sites. Just overwhelmingly wonderful.